About 11 minutes and 46 seconds reading time for this 3.0K word page. This Action Plan was posted for public comment on February 1, 2017. The plan was posted online in English, Spanish, and Vietnamese. Public notices were published in eight newspapers, including The Advocate, the states journal of record, a press release. Per 81 FR 83254, substantial amendments are defined by a change in program benefit or eligibility criteria; the addition or deletion of an activity; or the allocation or reallocation of a monetary threshold specified by the grantee. For purposes of this allocation of funding, the state will define the threshold for a substantial amendment as the greater of a re-allocation of more than $5 million dollars or a reallocation which constitutes a change of 15 percent or greater of a program budget. I reviewed the Action Plan and the presentation that was presented on how the federal funds will be spent. There has been no information given as to how the reimbursement will be handled. I, like so many others have renovated my home with the use of personal funds. I would like the Recovery Task Force to speak with specifics on how the reimbursement will work. Additionally, please explain in detail the duplication of benefits. I have been told the State will consider the total amount an applicant could receive from a SBA loan and not the actual amount received. Please explain how this duplicates benefits, when the applicant did not receive the funds. Most homeowners, like I, did not take the amount offered by SBA as I would have owed more than my home was valued. If the State proceeds with this course, most people will not qualify for additional assistance. This is unfair and penalizes people that are acting wisely and prudently with their homes. In response to your comment related to SBA loans and whether these should be considered a duplication of benefits received by homeowners, please be advised that this is not a state of Louisiana policy. According to current federal agency guidance, federal grants/loans cannot be used to repay other federal grant/loans. Additionally, the amount of loan funds approved by SBA is considered a duplication of benefits. Community Development Block Grant-Disaster Recovery funds were allowed to pay off SBA loans after Hurricane Katrina, but HUD subsequently issued guidance in November 2011, in which it clarified the duplication of benefits requirements under the Stafford Act for CDBG-DR grantees. The November 2011 guidance can be found at: https://www.gpo.gov/fdsys/pkg/FR-2011-11-16/pdf/2011-29634.pdf. The state is working with Congress and the federal government to recommend ways to amend some of the requirements related to SBA loans that would provide relief to homeowners, but is currently establishing policies and procedures that work within these constraints and the current funding available through CDBG-DR. OCD-DRU strongly encourages you to contact your U.S. Congress member and share your concerns about this situation. It is unfair that you are requiring disaster affected families who are in hotels out of state to be forced back into Louisiana within such a short notice. It has been hard for me to regain my independence due to the inability to regain employment. After applying for hundreds of jobs due to losing my pre-disaster one. I finally was hired and began a new job on January 30, 2017. On January 31, 2017, I received a call from a Rep in Louisiana who informed me that in 5 days my 3 children and I will be homeless. My kids had already missed over a month of schooling due to the flood and now I am being asked to basically take them out again and find somewhere else to live and spend another several months finding employment again. How dare you give families 5 days to uproot from JUST now finally being able to get back on their feet!!! *Website has a search option for accessibility. What Can I Do in an MHU? There is a provision in the plan that states a homeowner is not qualified to participate in any share of this money if they live in a home that previously flooded and were required to carry insurance but did not. I strongly disagree with this provision. My mother will be 87 next Sunday. She is disabled and on SS. Her income does not cover her monthly expenses nor does it provide funds to pay the enormous price of minimal flood insurance. We priced flood insurance on her home and just basic insurance that did not cover contents or the replacement value of her home was over $2000 per year. If you figure that at a monthly rate it would cost just a fraction under $200 per month. She already pays $257 per month for health insurance and there is no way she can afford to pay flood insurance. Why is it that no one is considering the elderly who cannot get out and take a second job to earn the money to pay flood insurance? Why has Louisiana turned its back on the elderly and disabled? Since the flood, not one person, organization, or group helped my mom in any way. I carried homeowners insurance on her home but it did not cover flood. SBA will not loan her money because of her age and disability. Where is she supposed to turn? Who is supposed to help her? We have done a lot toward fixing her home but now I am out of money. I just think it is a shame that no one understands the position she is in. She is not the only one either. If she was able, she would be out working to pay for the insurance. She is not able and everyone thinks she just made the decision to not get insurance, which is not true. I wish you would reconsider that provision in the plan to make allowances for those who had no means to purchase flood insurance. Possibly go by their income and expenditures necessary to survive. Mom lived in that house 64 years and never did it take on water until August when it took on 5 1/2 feel of water. She has had flood damage before but not inside her house. Please have a heart and listen to the needs of the elderly and disabled. Thanks for reading and considering her situation. Thank you for your comment on the state of Louisiana's proposed Action Plan for recovery from the Great Floods of 2016. OCD-DRU will include your comment and our response when we submit the plan to HUD for approval in February. The prohibition on receipt of disaster assistance because of lack of required flood insurance is a federal statutory requirement contained in the Robert T. Stafford Disaster Relief and Emergency Assistance Act. It applies to people who previously received Federal disaster funds to repair their homes as the result of a flood, and because of living in a floodplain were then required to carry flood insurance in perpetuity. If your mother has never received Federal disaster funds from a previously declared flood disaster and she lives in a flood plain or, she lives outside of the floodplain and was not required to have flood insurance, then she will not be denied assistance if she is eligible for the State's disaster housing assistance program. Will grants be available to flood victims from 8/2016 to pay back SBA loans? We were turned down by homeowners insurance and FEMA and having no flood insurance we were forced to take out an SBA loan causing the burden of two house notes. The $14,100 we were approved for by SBA is not enough to complete the damage. Having to pay contractors takes so much of the money. Please help. Thank you for your comment on the state of Louisiana's proposed Action Plan for recovery from the Great Floods of 2016. OCD-DRU will include your comment and our response when we submit the plan to HUD for approval in February. We are sending you an FAQ re: Duplication of Benefits, which explains why federal funding cannot be used to repay federal debts. Should the state's program proposed within this Action Plan Amendment determine the approved SBA amount is insufficient to complete the repairs to your home, you may be eligible for additional funding from the homeowner program. SBA loans have to be paid back while FEMA grants do not. This is not a duplication of benefits situation. During Hurricane Katrina SBA loans were paid off by grants and we are wondering if this option will be available for the flooding. Thank you for any assistance you may provide. Thank you for your comment on the state of Louisiana's proposed Action Plan for recovery from the Great Floods of 2016. OCD-DRU will include your comment and our response when we submit the plan to HUD for approval in February. In response to your comment related to SBA loans and whether these should be considered a duplication of benefits received by homeowners, please be advised that this is not a state of Louisiana policy. According to current federal agency guidance, federal grants/loans cannot be used to repay other federal grant/loans. Additionally, the amount of loan funds approved by SBA is considered a duplication of benefits. Community Development Block Grant-Disaster Recovery funds were allowed to pay off SBA loans after Hurricane Katrina, but HUD subsequently issued guidance in November 2011, in which it clarified the duplication of benefits requirements under the Stafford Act for CDBG-DR grantees. The November 2011 guidance can be found at: https://www.gpo.gov/fdsys/pkg/FR-2011-11-16/pdf/2011-29634.pdf. The state is working with Congress and the federal government to recommend ways to amend some of the requirements related to SBA loans that would provide relief to homeowners, but is currently establishing policies and procedures that work within these constraints and the current funding available through CDBG-DR. OCD-DRU strongly encourages you to contact your U.S. Congress member and share your concerns about this situation. Addressing the Eligibility Criteria to Qualify for Assistance from the Federal Appropriations for the Louisiana 2016 Great Flood Disasters The State of Louisiana is intentionally denying help to the elderly and disabled homeowners with incomes of $20,000 or less who qualify otherwise but did not assess as Major/Severe according to FEMA's unrealistic and subjective damage assessment even though the cost to repair their homes is in the tens of thousands. And now the governor's Office of Community Development (OCD) has sent an urgent request “… for support from HUD to waive a requirement that 70 percent of the recent $1.2 billion appropriation is spent on low-to-moderate income families. OCD has asked for technical assistance to lower the rate to 50 percent, which would increase the number of households that qualify for assistance.” THIS IS PERVERSE in light of the number of the elderly and disabled on incomes of $20,000 or less that you have chosen to overlook. Louisiana needs to give elderly and disabled homeowner's with incomes $20,000 or less and meet the current criteria the opportunity to apply for the grant money so they can demonstrate the actual flood damage they suffered and not rely on FEMA's subjective and unrealistic damage assessment to determine who gets help. If it is a HUD requirement to use FEMA's damage assessment, then changing this requirement to a more realistic and objective assessment is what need to be addressed to HUD…NOT taking money from the elderly and disabled so that the funds can be distributed to those with more means and those who elected not to carry flood insurance even though they live inside the floodplain. Relegating the damage assessment to FEMA is especially devastating to the most vulnerable, the elderly and disabled homeowners whose income is $20,000 or less, because THERE IS NO HELP for this group. These people DO NOT HAVE ANY OTHER OPTIONS…they have no money, they can't work, they can't get nor afford loans, and the piddling amount FEMA gives won't fix anything. In short they have NO HOPE OF EVER FIXING THEIR HOMES to even habitable condition. There is a reason why HUD required that 70% go to the elderly and disabled with incomes of $20,000 or less. I am 61 year old woman on disability, I am widowed and live alone, I am a disabled Veteran, and my combined disability income is $18,600. I suffered the 2016 Great Flood Disaster 4277, I live in a HUD determined “most impacted and distressed” community outside of the Special Flood Hazard Area and did not have Flood Insurance at the time of the flood because I live in flood zone X. I sustained at least $32,022.93 in flood damage (FEMA gave me $1019.18); however, since FEMA did not classify my damage as major/severe I did not "qualify" for the first grant money nor will I "qualify" for the second grant. However, the various phases of the Floods Master Action Plan goes on to include and address just about every other case including those who live inside a flood zone but elected to not carry flood insurance. And now you want to include people that actually have the means to repair and will repair regardless if they get assistance or not whereas I will never be able to make my home even habitable on my own. FEMA's damage assessment of my home is a joke. My home was flooded in the August 2016 flood and the cost to repair the sustained flood damage will run at least $32,022.93. This amount will complete the remaining necessary demolition, replace the water soaked portion of the insulation and sheetrock, replace the interior and exterior doors, replace paneling, replace water soaked flooring and carpet, replace the kitchen pantry cabinet, and replace kitchen base cabinets with countertops. This does not include replacing the kitchen wall cabinets to match the base cabinets. This does not include replacing any of the appliances that were standing in water. This amount also does not include the demolition that has already been done: removing the base cabinets and corresponding countertops, removing some of the paneling, and removing 16" to 22" of sheetrock and insulation from the walls of my home, and removing the carpet. This demolition was done by designated charitable organizations that assessed the damage and determined this demolition was necessary. Due to time constraints they couldn't complete all of the necessary demolition and the portions of the walls that they couldn't get to are alive with black mold. Although I have proof of the sustained damage and the cost to repair; FEMA awarded me $1019.18 total: $401.40 to replace 4 interior doors, $213.62 to replace 1 exterior for door, and $401.26 to clean and sanitize an entire house. This would be funny if it wasn't so serious. After securing my damage assessment records from FEMA, I discovered that the FEMA representative that did the assessment elected to ignore the largest part of the damage and drastically minimized the rest, erroneously stating that I only suffered 2” of water instead of the actual 5” to 6” that did all this damage. It is ludicrous to think that the people in charge of applying the charitable assets would waste these assets demolishing undamaged property; or that I would allow this demolition if it weren't necessary. During the week of January 23, 2017 I appealed the FEMA award determination decision and reached out to my State Representative for help. I do not know what spurred FEMA to action but FEMA contacted me on Friday January 27, 2017 at about 8 P.M. to inform me that a FEMA representative needed to come as soon as possible to inspect my house. This happened on Monday January 30, 2017 at 10 AM. However, after what FEMA has put me through, I would be very surprised if they changed my damage assessment to an appropriate Verified Loss level or helped in any significant way. The point is, although I sustained actual major damage and fit the other criteria for grant assistance, because the State of Louisiana is basing the distribution of funds to homeowners solely upon FEMA's flawed and subjective damage assessments; I was not considered for funds from the first appropriation and the same will stand true for this second one unless you do something. At least give me and others that fall though this loophole the opportunity to demonstrate our actual damage and the actual cost to repair…not what FEMA has relegated. Otherwise we will never be able to repair our homes to even the minimal habitable standards. Thank you for your comment on the state of Louisiana's proposed Action Plan for recovery from the Great Floods of 2016. OCD-DRU will include your comment and our response when we submit the plan to HUD for approval in February. The state encourage you to pursue the appeals process through FEMA as the first step to seeking a more accurate damaged assessment, based on the details of your situation. While the CDBG-DR-funded program described in the APA 1 does intend to re-evaluate homes where applicants believe they experienced major or severe damage, due to the limited amount of funding available to the state through CDBG-DR funding, one criterion the state is using at this time is whether a homeowner experienced a foot or more of flooding or $8,000 in FEMA Verified Loss (FVL). It FEMA doesn't assess damages to be $8,000 or more, the state will consider an applicant for eligibility if they had greater than one foot of flooding. In August we flooded had 11 inches of water. no flood insurance. FEMA did assist us in giving us 10,080 to repair our house. We are senior citizens we had volunteers assist us in the repairs we needed. We do appreciate their help these volunteers did for us and money Fema gave us, but there is still repairs to be done. We also borrowed thru SBA 25,000 but our funds are short we have approximately 15,000 to 20,000 worth of damage to repair. Whatever help you can give us we will be grateful. Thanks for all the help. God bless you. Thank you for your comment on the state of Louisiana's proposed Action Plan for recovery from the Great Floods of 2016. OCD-DRU will include your comment and our response when we submit the plan to HUD for approval in February. The state encourages you to register with restore.la.gov to receive updates on when the program survey and application periods open. Please include my family (myself and my children ) in any funding provided to help rebuild our home which was devastated by the flooding in August. If there is any way to have our home lifted so that it cannot flood again, we very much want to do that. Any assistance will be greatly appreciated. Thank you. You all are being so unfair to the Louisiana residents who lost their homes and had to immediately travel out of state for shelter. I was a renter and my landlord lost his entire home too. Therefore, he has not begun any repairs to my former home. My family members lost their homes in the flood too. My children missed over a month of schooling so I had no choice but to place them in school where we are currently staying which is a hotel in Humble, Tx. It took me many many months of applying for job after job after job until I finally received a job offer back in December 2016 but began just a week ago. The day after my first day on the job, I get a call from you guys stating that my children and I had ONLY 5 days to vacate the provided hotel. I have been unable to find permanent housing due to the inability to regain employment. My children and I have no family here and we have nowhere to go. It is very inconsiderate of you all to choose to only continue providing care to families who are still in Louisiana but we have all been affected by the same tragedy. I did not choose the disaster, it chose us. And I did what i had to do as a mother what was best and safe for my children and I. You are asking the families who are out of states to relocate back to Louisiana to another hotel, pull their children back out of school, and also quitting their new jobs only to have to start the process all over again and re-live the hardship that we have finally began to see some sort of progress from. It is definitely unfair to those of us who have been trying our best to recover from the flood but it is obvious that the persons who have made the decision to count us out and force us to become homeless is a very heartless person who has not taken into consideration that EACH INDIVIDUAL FAMILY requires a decision based upon their INDIVIDUAL circumstances as a whole. My situation may differ from someone else. This decision of the persons who made it makes the survey which you sent out a waste of time. It had no intention to help those who were forced to go out of state and are still experiencing hardship. On behalf of my 80 year old aunt who was flooded in August. SBA loans should not be counted against a person. She had to get an SBA loan in order to rebuild. No flood insurance but not in a flood zone. We feel that incorporating a helpdesk of sorts, accessible by homeowners that are approved for and moving forward in one of the state's recovery program, to assist in answering a variety of questions would be invaluable to citizens in the state. A resource comprised of various volunteer organizations with experience and expertise in architecture and construction as well as any other identified areas and partners within FEMA, HUD, or the like that could assist homeowners as they navigate the process of repairing, rebuilding and returning. American Institute of Architects is prepared to assist in this endeavor. Thank you for your comment on the state of Louisiana's proposed Action Plan for recovery from the Great Floods of 2016. OCD-DRU will include your comment and our response when we submit the plan to HUD for approval in February. The state will continue to work with the American Institute of Architects to determine the best way to incorporate these valuable services within the program. not required for the area that I live in. That SBA loan is a HARDSHIP LOAN. It has to be paid back, it is not a grant. After looking at that eligibility formula, I would get less than 1/6 of loan that I got. Thank you for your comment on the state of Louisiana's proposed Action Plan for recovery from the Great Floods of 2016. OCD-DRU will include your comment and our response when we submit the plan to HUD for approval in February. 1) Based on guidance provided by HUD, the total approved SBA loan amount should be considered for cost reasonableness or as a duplication of benefits, including the declined and undrawn amounts, respectively. However, the state is working with HUD to develop a policy that may allow- under certain circumstances- the state to deduct the declined amounts from the duplication of benefits calculation. 2) The state will send inspectors to applicants to assess the level of damages a homeowner sustained. The state's inspectors will use pricing from Xactimate, a replacement cost estimating software system, to determine a value of the level of damages. The state will use economy grade materials in the cost estimating process, so the state's assessment may be lower than other entities' assessments of damages. 3) In response to your comment related to SBA loans and whether these should be considered a duplication of benefits received by homeowners, please be advised that this is not a state of Louisiana policy. According to current federal agency guidance, federal grants/loans cannot be used to repay other federal grant/loans. Additionally, the amount of loan funds approved by SBA is considered a duplication of benefits. Community Development Block Grant-Disaster Recovery funds were allowed to pay off SBA loans after Hurricane Katrina, but HUD subsequently issued guidance in November 2011, in which it clarified the duplication of benefits requirements under the Stafford Act for CDBG-DR grantees. The November 2011 guidance can be found at: https://www.gpo.gov/fdsys/pkg/FR-2011-11-16/pdf/2011-29634.pdf. The state is working with Congress and the federal government to recommend ways to amend some of the requirements related to SBA loans that would provide relief to homeowners, but is currently establishing policies and procedures that work within these constraints and the current funding available through CDBG-DR. OCD-DRU strongly encourages you to contact your U.S. Congress member and share your concerns about this situation. I am a single, 62 year old Louisiana state government retiree. I was debt free until the flood and now will owe an SBA loan. I took the loan as advised by FEMA and the State. Now I am in debt, and understand the SBA LOAN will count against me in receiving debt free dollars. This is appalling and very stressful to know that had I not followed government advisement in trying to get back in my home, I might be eligible for debt free monies. This is causing undue stress in an already stressful situation. I am asking that the state reconsider the counting of loan dollars in calculating debt free benefits. A loan with interest is clearly not equal to debt free benefits. guidance, federal grants/loans cannot be used to repay other federal grant/loans. Additionally, the amount of loan funds approved by SBA is considered a duplication of benefits. Community Development Block Grant-Disaster Recovery funds were allowed to pay off SBA loans after Hurricane Katrina, but HUD subsequently issued guidance in November 2011, in which it clarified the duplication of benefits requirements under the Stafford Act for CDBG-DR grantees. The November 2011 guidance can be found at: https://www.gpo.gov/fdsys/pkg/FR-2011-11-16/pdf/2011-29634.pdf. The state is working with Congress and the federal government to recommend ways to amend some of the requirements related to SBA loans that would provide relief to homeowners, but is currently establishing policies and procedures that work within these constraints and the current funding available through CDBG-DR. OCD-DRU strongly encourages you to contact your U.S. Congress member and share your concerns about this situation. I did not see any program for underinsured residents. I own my home and had a policy for $80,000. My home had never flooded before and we thought this would cover anything minor. Our home got over 3 feet of water and has foundation problems. The quotes we received are $180,000-$200,000. I think it's unfair to be excluded from any programs because we had a policy no matter the coverage. Please let me know if there are plans to help people like us. Thank you. Thank you for your comment on the state of Louisiana's proposed Action Plan for recovery from the Great Floods of 2016. OCD-DRU will include your comment and our response when we submit the plan to HUD for approval in February. The prohibition on receipt of disaster assistance because of lack of required flood insurance is a federal statutory requirement contained in the Robert T. Stafford Disaster Relief and Emergency Assistance Act. It applies to people who previously received Federal disaster funds to repair their homes as the result of a flood, and because of living in a floodplain were then required to carry flood insurance in perpetuity. I feel that is unfair to consider an SBA loan as a "benefit" towards recovery that will count against additional aid. From my first contact with them, FEMA recommended strongly for me and others to apply for an SBA loan. If I had known this would have counted against future potential aid, I would have taken out a nominal second mortgage. I'm 65 years old, and plan to retire later in 2017. If the SBA loan amount (whether disbursed or not) is counted as a benefit, my wife will probably be paying on the SBA loan past my death. Please modify the requirement that an SBA loan be counted as a benefit. Thank you. I want my government to know that homeowners who had to take the SBA Loan to repair our flooded homes, need our government to secure funds to help homeowners pay these funds back. We have spent all additional funds we have personally and it is a hardship on us to pay these loans back. We need assistance as well. I don't want to be forgotten. This flood has created a financial burden on myself as well as my neighbors and many many others in our community. Please Governor Edwards, don't forget about us. Please allocate funds for us homeowners who had to take SBA Loans and who now need assistance to repay these monies. Thank you. Have a Blessed day. who tried to do all that they could to get back in their own house. Hope you can maybe she some light on this for me. My husband is 65 and I am 60. We have lived in Sherwood Forest for twenty years and in Baton Rouge all our lives. We have never flooded, are not in a flood zone, did not have flood insurance and were never required to have flood insurance. We have both worked for over forty years, raised our children and saved for retirement. We had just paid off the mortgage on our home and were ready to retire this year. When our home flooded, we had no choice but to accept the SBA loan that we were approved for. That was the only way we were able to complete repairs and moved back in at the end of December. We meet all the criteria for the new grant money except for the fact that we took the SBA loan. This is the most unfair thing I have ever encountered. We took out a LOAN! Nothing is being given to us. We will be paying this until we are 90 years old. To say nothing of the fact that retirement is not in the picture now due to the flood. We have worked hard our whole lives to support ourselves and plan for our future without being given anything we did not work for. Ten years ago, my husband retired from the State of LA with 33 years of service and then went to the private sector to continue working to pay off our mortgage and save to retire. He did this even though he has degenerative disk disease in his back and is in constant pain. I have worked for 40 years as well and still am. We have worked hard! It is not fair that the loan is being placed on the same level as the grant. I have to pay the loan back while others are getting their help FREE. We are now in debt again and have been thrown back to a mortgage we had twenty years ago. We have been responsible, hard working, tax paying, productive citizens of this state all our lives and cannot believe we can not receive assistance in the same manner as those who have not worked and not paid taxes. That is what my taxes do for them so why can't it help us when we need it? Hi. I would just like to add I think there should be some funding for people like me who had insurance but not enough. My house took in 12 feet of water and I lost everything. I can't get any help from anyone because I have insurance. I do not have enough money to rebuild. Thank you for your comment on the state of Louisiana's proposed Action Plan for recovery from the Great Floods of 2016. OCD-DRU will include your comment and our response when we submit the plan to HUD for approval in February. The state understands that the programs will leave many homeowners with gaps in the funding needed to repair their homes. This will be true for homeowners who did not have flood insurance as well as for homeowners who had inadequate flood insurance coverage. Should Congress appropriate additional funds for Louisiana's recovery, the state may expand the program to cover unmet needs faced by flood insurance policy holders. However, at present, priority is being given to homeowners without flood insurance, as they do not have access to any flood insurance proceeds. Someone needs to help those of us who are considered middle working class. We were barely scraping by before the flood now we have SBA loans to pay back in addition to the same expenses as before the flood. Yet no one is giving us anything because we make decent wages and can get the SBA loan (which is a joke in itself because we were approved 4 months ago and are still fighting to actually get the money while spending a fortune on rebuilding the house and additional living expenses). Where is the help for us? Why is everything concentrated on low income? If they didn't have anything/much before the flood then that is all they should get now. We had an 8 year old house that will never be the same and lost a huge amount of value now and we will have to work another 25 years to get back to where we were. Regardless of income, homeowner's not in a flood zone and without flood insurance must have resources to rebuild. In verifying income, (tax returns), many self-employed people manage their taxable income, (don't report all of their income), which may qualify them for HUD funds when they actually make substantially more than W-2'd homeowners (verifiable income). In verifying income, (tax returns), a homeowner may show little to no income because they choose NOT to work. I specifically know of someone who chooses not to work and hasn't filed a tax return in many years. He has received an initial grant from FEMA, was denied by SBA for lack of income, and then received a second grant from FEMA. Under the proposed disbursement, he should qualify based on age and MFI providing him a full grant to rebuild his home. Homeowner's who actively pursue gainful employment have the same or more damage to their home, but may not qualify given their MFI is too high and they've been approved for a SBA loan (that puts them further into debt). 2. SBA Loan Proceeds should not be a factor -- This money has to be repaid by the homeowner – unlike FEMA grants, SBA LOANS ARE LONG-TERM MORTGAGE DEBT THAT MUST BE REPAID BY THE HOMEOWNER. SBA Loan proceeds have been the only way that we can rebuild our home. The SBA Loan is a long-term 25 year debt repayment in addition to our existing 1st and 2nd mortgages, creating negative equity in our home. We will never be able to sell our home and extinguish the debt owed on it. I pray that there is help of some sort to extinguish even a portion of the SBA debt we now carry on our home. Thanks for your deep consideration of the points I've shared as we all carry the burden to rebuild our home. Had our home been in a flood zone, we would have absolutely had flood insurance to protect us against this catastrophic loss. Thank you most sincerely for your consideration. working with Congress and the federal government to recommend ways to amend some of the requirements related to SBA loans that would provide relief to homeowners, but is currently establishing policies and procedures that work within these constraints and the current funding available through CDBG-DR. OCD-DRU strongly encourages you to contact your U.S. Congress member and share your concerns about this situation. Please see the attached comment (image copied below) on the “La Office of Community Development, Disaster Recovery Unit's Action Plan Amendment No. 1” for the floods of 2016. The comment period for this proposed amendment is Feb 1st-15th, 2017.The comment is regarding the language used to describe the FEMA Public Assistance program work. The draft language inadvertently limits the types of Public Assistance work for which the funds will be used. Please see attached, and call if you have questions. Thank you for your comment on the state of Louisiana's proposed Action Plan for recovery from the Great Floods of 2016. OCD-DRU will include your comment and our response when we submit the plan to HUD for approval in February. The state will make the proposed changes to the Action Plan Amendment. Thank you for your contribution. Re: COMMENT ON "PROPOSED ACTION PLAN AMENDMENT NO.1"
The language concerning FEMA Public Assistance Funding (page 62) should be changed so that all categories of Public Assistance work are included. The current language in the draft Amendment No. 1 wold limit the use of the CDBG funds to "emergency protective measures and permanent repairs to infrastructure and community facilities". These phrases limit the use of the funds by inadvertently excluding Category A (debris removal work) and permanent work which could be more than just "repairs". "Emergency protective measures" encompasses Category B work only, and not Category A (debris removal); whereas "emergency work" encompasses both Categories A and B work. Likewise, "permanent repairs to infrastructure and community facilities" would exclude "non-repair" work such as replacement, hazard mitigation measures, alternate projects and/or improved projects; whereas "permanent work" would encompass repairs, replacements, hazard mitigation, alternate and/or improved projects. See FEMA PA Guide for additional information. 1) Change "emergency protective measures" to "emergency work"
2) Change "permanent repairs" to "permanent work on..."
I saw comments and proposals that said awards may be reduced due to SBA loan amounts. We did not have flood insurance and lived in a no flood zone X. We got money from FEMA but had to get a loan. My thought is not to reduce the award amount due to SBA but instead have the money be used to pay the loan back. The grant could be directly applied to our loan. We owe more than our house is worth now which is the case for a lot of people. I'm not trying to "make money" I just don't want to be in debt until I die. Plus SBA only gave us 13 years to pay back our loan which is 700 a month. I have kids in college and am a retired teacher. I've had to go back and get a job again to pay the loan which just started. My home flooded in the August floods in Baton Rouge. I attended the Public Comment meeting on Monday, February 6 at the BRCC Magnolia Theater. My comment is in reference to the citizens that have obtained SBA loans to help recover from the flood. I feel that you should not be penalized if you have secured an SBA loan to reconstruct your home. It was stated in the meeting that the SBA loan would be viewed as a duplication of federal funds when it is considered in your qualification for the upcoming Disaster Recovery grants. It is my personal opinion that the money that was received from the SBA would either be converted to a grant/forgiven or the eligibility for the recovery grants could be applied to reduce the SBA loans. Many people felt that way at the meeting but I wanted to record my personal sentiments. Thank you in advance for your cooperation. school district make critical and eligible repairs to their impacted schools. this school system fulfills for so many citizens of Ascension Parish. As the State prioritizes these limited funds, please always consider the importance and value of assisting the Ascension Parish Schools. Thank you. As a teacher and parent of a student at a school affected by the flooding, I am very thankful to the State for their action plan in our recovery efforts. Ascension Parish School Board has a long history of using money effectively to benefit our students, but with the effects of this flood, we are in great need. As the State prioritizes funds, please consider the great needs of Ascension Parish Schools and our long history of success. Critical funding is needed to allow our school system to recover. In addition to individuals, local governments were also devastated by the August 2016 floods. The Ascension Parish School Board sustained over $90 million in flood damages. Even after flood insurance proceeds and expected FEMA reimbursements (which can take YEARS to receive), the School Board's local share is $22 million. We would like to fund this $22 million local share with a Community Development Block Grant so that we can continue to use our funds to service our growing population of students and to build new schools. Cdbg funding may be our only hope for minimizing our share of flood recovery costs. We have potential for 20 million in costs that are not eligible for insurance or FEMA. Please consider allowing cdbg funds to be used to fund non FEMA eligible expenses as well as nfip penalties. This decision is huge for the future of Ascension Parish schools. We have at least 9 sites affected by the flood. We are willing to meet with decision makers to discuss this. Thank you for your comment on the state of Louisiana's proposed Action Plan for recovery from the Great Floods of 2016. OCD-DRU will include your comment and our response when we submit the plan to HUD for approval in February. Due to budgetary restraints, infrastructure assistance is limited to FEMA Public Assistance Nonfederal Share to help the school district make critical and eligible repairs to their impacted schools. causing additional stress and hardship on the school system. CBDG assistance will greatly enhance the APSB recovery efforts and enable APSB to continue its essential role of education in Ascension Parish. We are in total support of the appropriation and use of these dollars to cover the federal cost share for eligible applicants suffering damages from DR4263 and DR4277, many of whom will be penalized for having little to no flood insurance at the time of the declared event. The state of Louisiana should expend all efforts to increase the potential funding beyond the stated $105,000,000 which may hardly be enough to TRULY impact the recovery from the flooding events of 2016. Thank you for your comment on the state of Louisiana's proposed Action Plan for recovery from the Great Floods of 2016. OCD-DRU will include your comment and our response when we submit the plan to HUD for approval in February. At present, the state is anticipating that $105 million currently budgeted for the FEMA PA Match Program will fund the match share for all approved FEMA PA projects, however he state continues to work with the Governor's Office of Homeland Security and Emergency Preparedness to receive updated FEMA assessments. Would you please advise if an RFP for resources to review flood damage files will be posted and it so when will the time frame be? We have resources that are certified and would like to bid for consideration. I signed to get updates from Restore Louisiana, but as of today haven't received any. We live in Grand Haven Subdivision at 102 Clover Leaf Drive Lafayette, Louisiana. Our drainage definitely needs attention. Ditches on Vincent Road overflow into our yard causing water to backup. Flood has caused damage to our streets and drainage in the subdivision. We are in desperate need of help. Department of Transportation and Development (DOTD). I feel that is unfair to consider an SBA loan as a "benefit" towards recovery that will count against additional aid. From my first contact with them, FEMA recommended strongly for me and others to apply for an SBA loan. If I had known this would have counted against future potential aid, I would have taken out a nominal second mortgage. The SBA loan amount (whether disbursed or not) is counted as a benefit. Please modify the requirement that an SBA loan be counted as a benefit. Thank you. Thank you for your comment on the state of Louisiana's proposed Action Plan for recovery from the Great Floods of 2016. OCD-DRU will include your comment and our response when we submit the plan to HUD for approval in February. In response to your comment related to SBA loans and whether these should be considered a duplication of benefits received by homeowners, please be advised that this is not a state of Louisiana policy. According to current federal agency guidance, federal grants/loans cannot be used to repay other federal grant/loans. Additionally, the amount of loan funds approved by SBA is considered a duplication of benefits. Community Development Block Grant-Disaster Recovery funds were allowed to pay off SBA loans after Hurricane Katrina, but HUD subsequently issued guidance in November 2011, in which it clarified the duplication of benefits requirements under the Stafford Act for CDBG-DR grantees. The November 2011 guidance can be found at: https://www.gpo.gov/fdsys/pkg/FR-2011-11-16/pdf/2011-29634.pdf. The state is working with Congress and the federal government to recommend ways to amend some of the requirements related to SBA loans that would provide relief to homeowners, but is currently establishing policies and procedures that work within these constraints and the current funding available through CDBG-DR. OCD-DRU strongly encourages you to contact your U.S. Congress member and share your concerns about this situation. In addition, we have emailed you an FAQ on DOB. Enterprise Community Partners appreciates the opportunity to submit comments regarding the state's action plan detailing recovery programs in response to the 2016 floods. Enterprise is a non-profit with a 34-yar track record of service as a trusted advisor to government agencies, the financial industry, philanthropy, community-based organizations, and fellow nonprofits. We grant funds, finance development, manage and build affordable housing, while shaping new strategies, solutions and policy. We know how disruptive flooding is for low and moderate income communities. Our Gulf Coast office has worked closely with nonprofit, private and public sector partners to support recovery and rebuilding efforts after Hurricane Katrina. More recently Enterprise's New York office was active in the response to Superstorm Sandy. An important lesson from our recovery experience is that homeowners need help beyond financial assistance to effectively rebuild their homes and do so resiliently. To rebuild, homeowners will need assistance in navigating permitting and code processes and hazard mitigation standards, and in dealing with contractors. Homeowners are also eager to include quality and resilient design into their rebuildling plans, to improve upon and strengthen their home's design and ensure it withstands the next flood or other national disaster. To address these concerns, we recommend the state consider making available professional assistance to homeowners recieving rebuilding grants. Offering resilient resources, such as guideline materials and access to experience professionals, can enable a faster and more efficient recovery that will help homeowners withstand future shcks and stresses. Thank you for the opportunity to provide these comments and recommendations. Thank you for your comment on the state of Louisiana's proposed Action Plan for recovery from the Great Floods of 2016. OCD-DRU will include your comment and our response when we submit the plan to HUD for approval in February. Your recommendations are important and the state will consider methods of incorporating your proposed approaches and lessons learned within the program implementation design. Regarding the proposed budgeted amount of $105,000,000 for FEMA Public Assistance, Nonfederal Share Match. This is of primary interest to the 11 PA applicants in Lincoln Parish that will assist many of the applicants that have been struggling to come up with the matching dollars. I feel that a global match for all PA applicants will work the best with the Governor's Office of Homeland Security and Emergency Preparedness (GOHSEP) being the channel of funding. The state's Louisiana Public Assistance (LAPA) system already in place and having each applicants documentation uploaded should reduce the repetitive process of paperwork and keep from re-inventing the wheel so to speak. With regards to individual homeowners, I know Lincoln Parish only has a very small number, but any assistance that would be available for their needs would be greatly appreciated. I hope the Restore Louisiana Task Force and Office of Community Development will consider this, keep the process simple and expedite the funding so all of Louisiana's Individual Assistance and Public Assistance applicants can move forward. Thanks to the RLTF and CDBG for their dedication and support for Louisiana. Thank you for your comment on the state of Louisiana's proposed Action Plan for recovery from the Great Floods of 2016. OCD-DRU will include your comment and our response when we submit the plan to HUD for approval in February. Your comment related to global match is appreciated and the Office of Community Development, Disaster Recovery Unit is working closely with GOHSEP, FEMA and HUD to streamline the PA process as much as possible. Related to your comment about impacted homeowners in Lincoln Parish, the program as currently described does not further limit homeowners based on geography, provided their damaged home is in one of the 51 declared parishes and they are otherwise eligible for the program. As a representative of the City of Gonzales, it's great to see that the State has taken into account the considerable financial burden placed upon public entities in their efforts to recover from the historic flooding of 2016. The Action Plan's FEMA Public Assistance Nonfederal Share Match program appears to be a great program that would assist the City of Gonzales's recovery substantially in covering the nonfederal share of its FEMA project worksheets. As the State works to prioritize this grant funding, we ask it to consider the importance of assisting the City of Gonzales through this program. Thank you for your comment on the state of Louisiana's proposed Action Plan for recovery from the Great Floods of 2016. OCD-DRU will include your comment and our response when we submit the plan to HUD for approval in February. OCD-DRU is currently working with the Governor's Office of Storm Recovery, FEMA and HUD to streamline the application review, compliance, award calculation and funding disbursement processes as much as possible to get the eligible match assistance to local governments, districts, entities and organizations eligible for FEMA PA assistance. I commend the State for addressing the unmet funding needs of local entities for the required nonfederal matching share required for recovery projects. The FEMA Public Assistance Nonfederal Share Match program in the State's Action Plan appears very beneficial. Since the program allows many eligible applicants to apply for this cost-share assistance, I wish to emphasize the importance of critical public entities such as the Ascension Parish Schools receiving adequate match funding, due to the severity of flood damage incurred, the large number of children adversely affected, and the critical role this school system fulfills for so many citizens of Ascension Parish. As the State prioritizes these limited funds, please always consider the importance and value of assisting the Ascension Parish Schools. Thank you. Thank you for your comment on the state of Louisiana's proposed Action Plan for recovery from the Great Floods of 2016. OCD-DRU will include your comment and our response when we submit the plan to HUD for approval in February. OCD-DRU will work with the Governor's Office of Homeland Security and Emergency Preparedness, Ascension Parish and/or Ascension Parish School District to fund the eligible amount of FEMA Public Assistance Nonfederal Share to help the school district make critical and eligible repairs to their impacted schools. Thank you for your comment on the state of Louisiana's proposed Action Plan for recovery from the Great Floods of 2016. OCD-DRU will include your comment and our response when we submit the plan to HUD for approval in February. As currently designed, the Agriculture Program is limited to providing assistance to farmers and producers. However, the Small Business Loan and Grant Program will be open to all small businesses that meet the eligibility requirements of the program. Agribusinesses are generally eligible for assistance under the Small Business Loan and Grant Program. 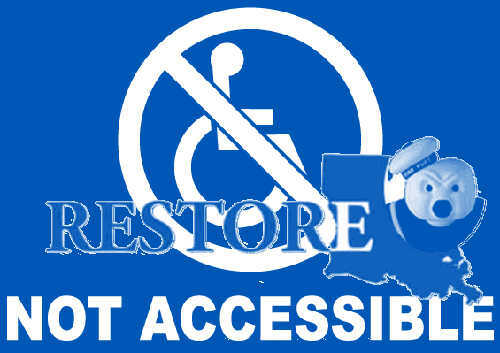 Please sign up at restore.la.gov to receive updates on when programs become open for application. Significant losses were experienced by many agencies from the historic flood of 2016 and I appreciate the state's consideration to benefit those in desperate need of assistance through the FEMA Public Assistance Non-Federal match. The Recreation and Parks Commission for the Parish of East Baton Rouge (BREC) is an agency that is deserving of consideration for this cost sharing opportunity. BREC, an independent political subdivision of the state, has long provided recreational services and facilities to the area as well as, serviced thousands of low to moderate income households by improving health, safety, and quality of life by providing essential programs. Unfortunately, BREC has suffered significant damage in 125 of its parks and facilities. BREC is a vital part of the fabric of the East Baton Rouge Parish from crime reduction and prevention, substance abuse awareness, life-safety skills, water safety programs, senior programs to assisting East Baton Rouge schools with food and meal distribution and augmenting the educational activities of youth and adults across all geographic and socioeconomic strata. I thank the state for considering to allocate available funding to help BREC meet their unfunded needs in order to fully recover from this catastrophic flood event and continue to provide their vital services to the community. I appreciate the State of Louisiana for seriously considering the need to cover many agencies who suffered significant lost during the historic flood of 2016. The FEMA Public Assistance Non-Federal match will be very beneficial to so many who desperately need this level of support. The Recreation and Parks Commission for the Parish of East Baton Rouge (known as “BREC”) should be strongly consider for this cost sharing coverage. BREC suffered significant damage to 125 parks and facilities. BREC is an independent political subdivision of the state and their services are comprised of providing facilities that offer not only recreational opportunities, but many other essential programs for thousands of low to moderate income households to improve the quality of life, health and safety for tax paying citizens. BREC is a vital part of the fabric of the East Baton Rouge Parish from crime reduction and prevention, substance abuse awareness, life-safety skills, water safety programs, senior programs to assisting East Baton Rouge schools with food and meal distribution and augmenting the educational activities of youth and adults across all geographic and socioeconomic strata. As the state is reviewing and prioritizing needs, please make every possible effort to make funding available to meet the unfunded needs of BREC to ensure a full recovery from this recent devastation. I commend that State for prioritizing the unmet funding needs of state and local entities in covering the required non-federal match required for recovery projects. The FEMA Public Assistance Nonfederal Share Match program in the State's Action Plan is very beneficial. While the program allows many levels of eligible applicants for this cost-share coverage, we want to emphasize the importance that the Recreation and Parks Commission for the Parish of East Baton Rouge (BREC) receive match funding based on the critical role the system plays in building back viable communities. BREC facilities house activities and programs throughout the local neighborhoods that serve a fairly significant low to moderate income population and meet important needs such as meal assistance, senior health programming, and children after-school and summer programs. As the State prioritizes rebuilding housing in damaged neighborhoods, and families move back home, communities rely on the presence of recreation, health and safety programs provided by BREC. As the State is prioritizing these limited funds and requesting additional funds, please continue to make funds are available to meet these unmet needs of entities such as BREC to ensure a full recovery. I appreciate the State for seriously considering the need to cover many agencies who suffered significant lost during the historic flood of 2016. The FEMA Public Assistance Non-Federal match will be very beneficial to so many who desperately need this level of support. The Recreation and Parks Commission for the Parish of East Baton Rouge (known as “BREC”) should be strongly consider for this cost sharing coverage. BREC suffered significant damage to 125 parks and facilities. BREC is an independent political subdivision of the state and their services are comprised of providing facilities that offer not only recreational opportunities, but many other essential programs for thousands of low to moderate income households to improve the quality of life, health and safety for tax paying citizens. BREC is a vital part of the fabric of the East Baton Rouge Parish from crime reduction and prevention, substance abuse awareness, life-safety skills, water safety programs, senior programs to assisting East Baton Rouge schools with food and meal distribution and augmenting the educational activities of youth and adults across all geographic and socioeconomic strata. As the state is reviewing and prioritizing needs, please make every possible effort to make funding available to meet the unfunded needs of BREC to ensure a full recovery from this recent devastation. As a representative of the City of Gonzales, it's great to see that the State has taken into account the considerable financial burden placed upon public entities in their efforts to recover from the historic flooding of 2016. The Action Plan's FEMA Public Assistance Nonfederal Share Match program appears to be a great program that would assist the City of Gonzales' recovery substantially in covering the nonfederal share of its FEMA project worksheets. As the State works to prioritize this grant funding, we ask it to consider the importance of assisting the City of Gonzales through this program. OCD-DRU RESPONSE: Thank you for your comment on the state of Louisiana's proposed Action Plan for recovery from the Great Floods of 2016. OCD-DRU will include your comment and our response when we submit the plan to HUD for approval in February. OCD-DRU is currently working with the Governor's Office of Storm Recovery, FEMA and HUD to streamline the application review, compliance, award calculation and funding disbursement processes as much as possible to get the eligible match assistance to local governments, districts, entities and organizations eligible for FEMA PA assistance. As an advocate of impoverished and disadvantaged families, SMILE Community Action Agency held a Public Input Meeting on Monday, Feb. 13, 2017 on the "Proposed Utilization of Community Development Block Grant Funds in Response to the Great Floods of 2016." The meeting, scheduled for 6 p.m., was held at the Clifton Chenier Center in Lafayette. One thing became evidently clear from the meeting: Community residents - impacted by the historic floods - felt not only suffering, but also frustration from what they described as unnecessary red tape and non-response of government agencies. SMILE, which has provided support services for nearly 50 years in St. Martin, Iberia, and Lafayette Parishes, held the meeting in an effort to reach more neighborhood residents who may not have been able to attend previous state Public Hearings. Community residents took to the podium to share their plight for more than an hour. As the SMILE Chief Executive Officer, I explained that the Agency was collecting the public input to ensure that community residents' voices would be heard - their concerns documented. A common complaint was that coulees were not being dredged in neighborhoods, and that the neglect had only served to compound difficult situations. Among those cited was the Edith Coulee in Milton. Residents also shared how they were forced to live in homes with mold with their children because they had nowhere else to go. Others noted how they had to move in with family members. Community residents also discussed their frustration of being denied assistance or limited assitance by government agencies after bringing required documents over and over to them. Some shared what it was like living on fixed incomes, and how that status had forced them to make decisions they later regretted. For instance, one elderly couple discontinued their flood insurance after 20 years because of their retirement and fixed income, and became victims of the historic flood a year later. Some residents had insurance while others had insurance but it did not cover everything. And there were those who had no insurance like the couple. Not only did the community residents share their plight, but also the plight of their family members and neighbors. They also encouraged one another not to give up, but to persevere and keep pursuing gtheir actions until they received responses. I also informed the community residents that SMILE would package their comments as part of the state's commentary period. As a communty action agency, SMILE is committed uplifting and conditions of those in need. We look forward to working with our state and local leaders to alleviate the issues and problems derived from the histgoric floods. The stories shared Feb. 13 were dismal. We want to work to uplift our communites. We have attached a copy of our sign-in list, which included staff members. One of our staff members even shared her struggles with the 40-plus attendees. We have also attached a copy of the flyer we distributed promoting the Public Input Meeting, as well as copies of the Agenda and the Media Release from restore.la.gov that summarizes the proposed funding and measures. We also have a video available of the Public Input Meeting for your review. Please let us know how we can be of further service. Congress. Impacted residents are encouraged to work with their local governments to express local infrastructure needs (e.g. dredging and drainage issues). The state appreciates the important work you and your staff are carrying out in your community. Impacted residents are also encouraged to register on restore.la.gov to receive updates on when programs open for application. I have attend both meeting at the Brec and the BRCC. My comments have to do with me getting the Shelter At Home and they totally not professional which led to me getting sick from staying in the home. I was taken to the hospital, at which time Americorp tested my home and it was said to be infested with mode. The home had to be re-gut and I was force to move again. I contact Fema in regards to a trailer and was now told I had applied for Shelter at home. Due to appealing for extra funds and not making enough to get the SBA loan I was not able to move into the home. Fema has denied my appeal three times and I am not told I cannot apply for another appeal. Please sign me up for the addition funds. Thanks. period. Please register at restore.la.gov to receive updates on programs as they become available to eligible residents. Given the obvious benefits of the programs at BREC (Baton Rouge Parks and Recreation), I encourage you to designate as many matching funds as possible to this very worthwhile organization. OCD-DRU RESPONSE: Thank you for your comment on the state of Louisiana's proposed Action Plan for recovery from the Great Floods of 2016. OCD-DRU will include your comment and our response when we submit the plan to HUD for approval in February. OCD-DRU is currently working with the Governor's Office of Storm Recovery, FEMA and HUD to streamline the application review, compliance, award calculation and funding disbursement processes as much as possible to get the eligible match assistance to local governments, districts, entities and organizations eligible for FEMA PA assistance. thousands of low to moderate income households to improve the quality of life, health and safety for tax paying citizens. BREC is a vital part of the fabric of the East Baton Rouge Parish from crime reduction and prevention, substance abuse awareness, life-safety skills, water safety programs, and senior programs to assisting East Baton Rouge schools with food and meal distribution and augmenting the educational activities of youth and adults across all geographic and socioeconomic strata. As the state is reviewing and prioritizing needs, I ask that you make every effort possible to make funding available to meet the unfunded needs of BREC to ensure a full recovery from this recent devastation. activities and programs throughout the local neighborhoods that serve a fairly significant low to moderate income population and meet important needs such as meal assistance, senior health programming, and children after-school and summer programs. As the State prioritizes rebuilding housing in damaged neighborhoods, and families move back home, communities rely on the presence of recreation, health and safety programs provided by BREC. As the State is prioritizing these limited funds and requesting additional funds, please continue to make funds are available to meet these unmet needs of entities such as BREC to ensure a full recovery. I commend the State for prioritizing the unmet funding needs of state and local entities in covering the required non-federal match required for recovery projects. The FEMA Public Assistance Nonfederal Share Match program in the State's Action Plan is very beneficial. While the program allows many levels of eligible applicants for this cost-share coverage, we want to emphasize the importance that the Recreation and Parks Commission for the Parish of East Baton Rouge (BREC) receive match funding based on the critical role the system plays in building back viable communities. BREC facilities house activities and programs throughout the local neighborhoods that serve a fairly significant low to moderate income population and meet important needs such as meal assistance, senior health programming, and children after-school and summer programs. As the State prioritizes rebuilding housing in damaged neighborhoods, and families move back home, communities rely on the presence of recreation, health and safety programs provided by BREC. As the State is prioritizing these limited funds and requesting additional funds, please continue to make funds are available to meet these unmet needs of entities such as BREC to ensure a full recovery. I commend the State for prioritizing the unmet funding needs of state and local entities in covering the required non-federal match required for recovery projects. The FEMA Public Assistance Nonfederal Share Match program in the State's Action Plan is very beneficial. While the program allows many levels of eligible applicants for this cost-share coverage, we want to emphasize the importance that Central Private School receive full match funding based on the critical role Central Private has in education. Central Private provides a K-12 education to 450 students. 90% of our students are from the Central and Denham areas. These two areas were among the hardest hit in the August floods. We are funded by parents tuition and many families are struggling after the floods. This funding would be extremely beneficial in helping the school rebuild without putting additional burden on our families. As the State is prioritizing these limited funds and requesting additional funds, please continue to make funds are available for these unmet needs of entities such as Central Private School to ensure a full recovery. Thanks for your efforts and consideration on this matter. I commend the State of Louisiana for prioritizing the unmet funding needs of state and local entities in covering the required non-federal match necessary for recovery projects. The FEMA Public Assistance Non-federal Share Match program in the State's Action Plan is very beneficial. While the program allows many levels of eligible applicants for this cost-sharing coverage, we want to emphasize the importance that Saint Joseph Abbey and Seminary College receive full-match funding based on the critical role Saint Joseph Abbey and Seminary College has in the region through educating 150 students from across Louisiana and 6 other states in the Gulf South Region, feeding the poor of Metropolitan New Orleans at multiple homeless shelters and soup kitchens, building caskets and providing cemetery plots, teaching art lessons, producing honey, making soap and candles, providing rest and peace at our retreat center, welcoming visitors at our gift shop, and hosting a large annual youth rally focusing on the well-being of teens and young adults. As the State is prioritizing its limited resources, please continue to make funds available to meet the unmet needs of Saint Joseph Abbey and Seminary College to ensure a full recovery. These funds are a necessary component of our ability to serve the Gulf South Region and are vital to our financial stability. My comments are that it is grossly unfair that people who had flood insurance, which has proven to be grossly inadequate on multiple occasions, are ineligible for any of these programs. My home has flooded multiple times in the last 7 years: “freak flash flood of Hayes Creek: on March 2009; Hurricane Isaac, 4-5 inches on 8/30/2012; flood on March 11, 2016, 2-3 feet; flood August 2016, home was still gutted, almost nothing left to destroy by then. Thank you for your comment on the state of Louisiana's proposed Action Plan for recovery from the Great Floods of 2016. OCD-DRU will include your comment and our response when we submit the plan to HUD for approval in February. The state understands that the programs will leave many homeowners with gaps in funding needed to repair their homes. This will be true for homeowners who did not have flood insurance as well as for homeowners who had inadequate flood insurance coverage. Should Congress appropriate additional funds for Louisiana's recovery, the state may expand the program to cover unmet needs faced by flood insurance policy holders. However, at present, priority is being given to homeowners without flood insurance, as they do not have access to any flood insurance proceeds. circumstances manifest & snowball -- affecting everyone mentally & emotionally, as they try to keep their brave face on in public. so many of us remain stunned & shocked post flood-disaster – at the minimal amounts FEMA has paid to flood victims who have LOST everything; and the thousands that are still in a position of not being able to restore their lives, homes & autos. it has been 6 months. community suffering & loss remains. we personally are still NOT back in our home. and much work needs to be done! our financial resources are highly limited – and we are frightened by the thought of how far FEMA is forcing tax paying citizens - to stretch the few dollars they paid them. it is criminal. and the accountability for this situation stretches far and wide – just like the raging river last August 2016. the RIVER DID NOT DISCRIMATE --- We Were ALL IN IT That Fateful Day ! DON'T FORGET US!! We are beyond ready to sleep in a REAL bed and prop our feet on a REAL coffee-table, even for just a little while! please think of us at the end of your day --- when you are in your comfortable surroundings & able to relax in your "real" home. for those who have never flooded, their words to flood victims often feel ignorant and insensitive, because they have NO clue of the aftermath life. i've spoken to numerous victims that have experienced both flood & fire. ALL say what I've long suspected -- Fire loss & the aftermath was easier on them than this incredible flood. 6 months is a LONG time -- WHEN WE ARE THE ONES LIVING THE POST-DISASTER-DISPLACEMENT LIFE. Our leaders & officials, your support & actions is HIGHLY warranted! and your prayers are greatly appreciated! Please don't stop fighting for us! We need YOUR voice! Thank you for your comment on the state of Louisiana's proposed Action Plan for recovery from the Great Floods of 2016. OCD-DRU will include your comment and our response when we submit the plan to HUD for approval in February. As proposed in the Action Plan Amendment for the recovery from the Great Floods of 2016, the state is proposing to implement a long-term recovery program for eligible homeowners. The program will fund eligible expenses related to the unmet needs faced by homeowners without flood insurance at the time of the flood event. The state encourages you to register with restore.la.gov to receive updates on when the program survey and application periods open. I attended the meeting held at the Baton Rouge Community College earlier this month. During the presentation I learned about this opportunity for public comment. Thank you for this forum. I've reviewed the documents, but could not easily find whether the various departments administering the funds were required to enforce current building codes. In particular, there is a code for testing the leakage of conditioned space within a home commonly referred to as the “Blower Door” test. My experience as a tester and sealer has led me to discover glaring deficiencies in air sealing due to unaccountable remodeling subcontractors who are not attentive to “air sealing” a home in order to meet code requirements. I have a good, true example: an engineer living in Baton Rouge bought a house in which the previous owner had experienced a problem with the “Chinese Dry Wall” sheetrock. The former owner had a crew repair the house before the engineer purchased the house. The repairmen were not required to test the leakage, and as a result the home was extremely leaky. We were called in to test the house after the engineer's children had been increasingly sick! We tested the home for leakage, and it was almost triple the code (code is currently 7 ACH – Air Changes per Hour) requirement at 20 ACH. It cost the engineer a lot of money to get his house back into a normal leakage range, but he will realize a substantial savings now that his conditioned space is “tighter”. Several months after our work he also reported that his children are doing better with their health problems. Most of his leakage could have been prevented if the crew doing the work had a test scheduled after their work to evaluate this aspect. I hope this is making sense. In summary, I hope our tax dollars are not funding substandard work due to an inability to enforce state building codes, especially in the area of air leakage in the conditioned space of a home or business. Thank you for your comment on the state of Louisiana's proposed Action Plan for recovery from the Great Floods of 2016. OCD-DRU will include your comment and our response when we submit the plan to HUD for approval in February. The state will work with homeowners through the homeowner program to ensure their rebuilt homes are built to code, per local ordinances and code requirements. Under Solution 1, the program-contracted home builders will be required to pull all relevant local permits and will receive interim and final inspections from program inspectors. Under Solution 2, the program will provide ongoing technical assistance to homeowners to help them ensure their homebuilding contractors are licensed, insured and obtaining the requisite permits. They will be subject to final program inspection to ensure the home was built to local code requirements. Please change the rule from 70% low income citizens receiving 100% amount of contractors' estimate to repair flood damaged homes and change 30% high income citizens receiving 50% amount of contractors' estimate to 50% high income citizens receiving 100% of contractors' estimates. People of all income levels live up to their income and is difficult to pay to repair a home and cover home expenses. 2. If a homeowner receives a loan to repair a home from a retirement account, the homeowner should receive 100% of the loan amount withdrawn from the retirement account. Thank you for your comment on the state of Louisiana's proposed Action Plan for recovery from the Great Floods of 2016. OCD-DRU will include your comment and our response when we submit the plan to HUD for approval in February. The state understands that the program will leave many homeowners with gaps in funding needed to repair their homes. The state has designed the program in this manner in an effort to get some assistance to as many impacted homeowners as possible. Should Congress appropriate additional funds for Louisiana's recovery, the state may expand the program to fund additional unmet needs faced by eligible homeowners. ADDRESSED BY OCD-DRU STAFF DURING THE PUBLIC MEETINGS. FROM: Seth Magden, GCR Inc.
OCD-DRU staff attended the four public meetings for Action Plan Amendment No. 1. in Lafayette Parish (Youngsville), East Baton Rouge Parish, Lincoln Parish (Ruston), and Washington Parish (Franklinton), and has complied the below summary of the public comments captured at the meetings. Is there a location that applicants can go sign up for information? Will the state coordinate with FEMA to contact those applicants who already applied to FEMA? How will an applicant know if you are eligible? We need our delegation to understand that we are being forced to make a decision between having food, medicine or flood insurance. Will there be a process in place to help people who are elderly and disabled, who don't have the mental capacity to understand? If a homeowner had granite countertops, will they be replaced with granite? My husband is a technology consultant from home, and he lost all his computers at home – would that be covered by this program? If someone hasn't been able to pursue assistance due to illness, and they haven't been able to get help, and haven't done any repairs, will they be eligible for this program? What is the timeline for assessment, disbursement, and implementation and who is going to be the program manager? Will Native American folks be prioritized? Were people on the task force impacted personally by this flood? Is LA-OCD-DRU going to handle all grant dollars? Are there medical services being provided for counseling? Has there been any collaboration between federal, state and lending institutions, and how we can look at refinancing as a tool to help folks in recovery? Will there be other public comment meetings? At the end of the rehab, must the home must be fully completed or just safe, secure and livable? Can we get reimbursed for things that we are already getting reimbursed for that we already paid local match for? As a homeowner who has partially finished and needs to be reimbursed, how do I do that? Will you need receipts to be reimbursed? Can we get reimbursed for money we pulled out of our 401k? Are going to send someone out to look at the SOW to establish reimbursement value? I got an SBA loan, I live in Youngsville, lost everything, depleted my savings. After what they gave, I still need another 20k to get to livable – I ran out of funds but am back in the house; I still have to pay the note -the mortgage companies put it on the back end and then when you go to restart they want a full payment to catch up; Will reimbursement address some of these things? What/who will verify what work is left to do – i.e. verify the scope of work remaining? For solution No.1, where the state runs the contractor – who ensures that quality work is done well? Are economy grade materials compliant with parish building codes? I want to use my contractor and want it fixed just the way I had it before the flood? Is this an option? Will there be funding for folks to raise their homes? What are we doing about the mold problems in these mobile homes? What about mobile homes and modular homes? For folks with mobile homes with damage more than value of the home – can those folks use that money for a new mobile home or a down payment for a new mobile home? You say that businesses rebuilding rental properties who had a loan will not need to pay that loan back? You will pay businesses but not people? What about that? If the renter has to move out, is there any assistance for the renter, or is there assistance for them to find a new place? I am a deaf person, who is a landlord and owns multiple properties; is there assistance for landlords in these programs who only own individual houses, not multi-unit properties? I am a property owner but not an LLC – why isn't there assistance for this type of property owner? For a section 8 property that was a rental but had a mortgage – that property owner doesn't get assistance? Even though those people were section 8? Why can't a landlord submit a single unit housing? If we received assistance from Isaac, and we don't have insurance – do we not qualify? We had insurance up to October before the March floods, but had to drop it for other needs, will we be eligible for this program? What can homeowners who had insurance but were underpaid from insurance do– how will we find out if money is available for us as well? I think it is grossly unfair that if you have flood insurance you get punished. As a part of my mortgage, I maintained a policy for 600/year – then I had to cancel for one reason or another. As a result, the lender forced me to pay a $3K flood insurance premium that I didn't choose which they added on to the loan. So if you have a mortgage you don't even have a choice of whether to have flood insurance. As a case manager for Catholic Charities, the majority of my clients can't afford flood insurance, and so they can't get help – something has to be done about this. How do you explain the difference in estimates between what structural flood insurance will cover and what it will cost to rebuild? I also have had to rent and pay my mortgage. If someone did not have NFIP – do they have to carry it if they take assistance? People who are homeowners and have flood insurance are not part of this program? Will there be a program in place for people who were severely underinsured? For example, my mother only had $30K of insurance, which is what she had when she purchased the house? Will help for people in this situation be included later? My home flooded in March; we were living in a camp with my disabled daughter and it didn't have facilities for her; so, we built a new house and got her a trailer to live in and we built on a hill that is higher up; we got an SBA loan – so we can't get help from that? what if I had borrowed money from the bank? For businesses – if they qualify for a loan they have to take that first, which is the same for individuals? If you decide to forgive SBA loans, isn't it unfair to those who couldn't get one in the first place? For the SBA loan – I am looking for some support on this – I only had 15 more years to pay on my mortgage, and now I have this 30-year loan – there needs to be something for these people. FEMA made us apply with SBA – so I am being penalized for following directions? So the gentlemen who received an SBA loan – he is still being counted when you look at the overall amount of funding you are requesting from the federal government? We were approved for SBA – we deposited money in checking account but we haven't spent it; so could we pay this back and then be eligible? Before you all came out with this we didn't know how we were going to get our house fixed – so we took the loan – we are older now, so if we have to elevate that is prohibitive; they subtracted the FEMA funds from the total amount. So taking an SBA loan and being approved and not accepting it are the same? I had insurance, and I went to FEMA – the first thing they tried to do was go through SBA – I felt that it was a crime for FEMA to refer you to SBA for a loan – you have to pay this back; I refused the loan – and FEMA didn't give me anything; I lost three cars; I had 4' of water in my house – I can't even get a permit – they want me to demo or elevate; I did have flood insurance – but they won't pay off; I'm being black balled because I didn't take what SBA offered me. Does Shelter at Home constitute a duplication of benefits? For whatever funds that we may qualify for, would FEMA funds be deducted from what we receive? If you did not qualify for SBA, and in turn borrowed money from family/friends, is the borrowed money considered a DOB? When I filed my taxes, they only gave you 10% of what your damages are. I get less money back this year even with the astronomical losses. I got $4k off my annual income, that is crazy. I was dependent on income taxes to fix my house; can you give me an example of your program of how you will subtract duplications? Homeowners after Katrina were offered lower interest rates, why weren't we offered that? We've only had SAH which didn't work out. There were more options after Katrina; I'm a single mother with five kids, and took two kids in. I lost both my cars, stayed in shelters until Oct. 5th; I had to use FEMA funding to put a down payment on a car; Just like how after Katrina people had to use FEMA funding for other things. What about mitigation? I live in Broussard – we need funding to prevent this again, or I will have to live there and get flooded again and again? I'm a small business owner, will economic development assistance be dependent on my credit score? I think the idea of global match for infrastructure is a great idea, but while we are working through Public Worksheets at this point. We need to know what HUD criteria we need to be gathering. Do it now, give us a head's up now; we could go to GOHSEP and have the Public Worksheets and the benefits; it would be much more simple – one application; since PWs are site specific – the benefits could be site specific. So if the purpose of the plan is to leverage the fact that you don't have enough money – at least for Ouachita Parish – to have some opportunity to apply for local priorities for infrastructure; we don't just want general infrastructure – we know $91M for flood control and drainage – we know that the next time this happens it will drastically reduce all levels of damage; if we have the infrastructure – we can protect the housing – but if we don't – the housing will just flood again the same flood event; the way this money is being spent currently. SAH contractors were not very good – are you going to use the same contractors for this program? SAH contractors did a piss poor job in my house, they put makeshift sinks in, and they didn't do mold remediation or anything. SAH told me that I was to receive several items – a microwave, refrigerator – and I didn't receive them; and they left a pamphlet; so all this was deceitful; FEMA has denied me for the third time to repair my home; I'm disabled and so is my husband. What about contractor rules – will they be different than SAH – there were huge quality control issues – we recommend that you use more quality smaller contractors; we can handle 20-30 sub-contractors, but not hundreds. What about reimbursements and environmental reviews – will these impact reimbursements and timeline for project completion if we apply for the program. So you are trying to waive the environmental? Do you qualify if you were denied by FEMA? If someone got denied twice by FEMA, what does that mean for this program? If someone was denied for proof of ownership by FEMA and still hasn't resolved the issue, will this be a barrier for them to get assistance with your program and how long will they have to prove ownership? What if displaced people didn't apply and need assistance – is that too late? 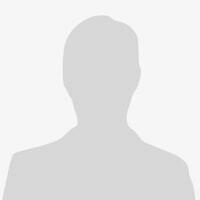 Will all categories of FEMA PA be available for match? I had a mobile home, tree went straight through it and destroyed everything; 2nd time the FEMA rep came out, the lady couldn't go in to view the damaged portion; I'm going through a seriously bad process and a don't understand it – I'm still working with FEMA to appeal. Regarding the proposed budgeted amount of $105,000,000 for FEMA Public Assistance, Nonfederal Share Match. This is of primary interest to the 11 PA applicants in Lincoln Parish that will assist many of the applicants that have been struggling to come up with the matching dollars. I feel that a global match for all PA applicants will work the best with the Governor's Office of Homeland Security and Emergency Preparedness (GOHSEP) being the channel of funding. Having the Louisiana Public Assistance (LAPA) system already in place and having each applicant documentation uploaded should reduce the repetitive process of paperwork and keep from re-inventing the wheel. Has OCD developed a description of the scope of work, costs of materials, etc.? How many DBEs will be prioritized? What is the mechanism of selection of DBEs? As a local economic development agency – how can we track how many local DBEs are being hired? What assistance is being given to help DBEs scale up to respond to this RFP? How many dollars are allocated to different parts of town? When will the RFP be awarded? How will the program prioritize local contractors vs. out of state contractors? If we want to put in to be the big contractor – how do we do that? About buyouts – for smaller more rural parishes – like Washington Parish – those parishes must maintain those properties and I don't think the smaller parishes can pay to mow them and maintain those properties. We work with Catholic Charities and have a lot of folks who had wind and rain driven damage – will these folks be eligible? A lot were in mobile homes and didn't have insurance. Would you be eligible for this program if you maintained flood insurance through the March disaster but not the august disaster?